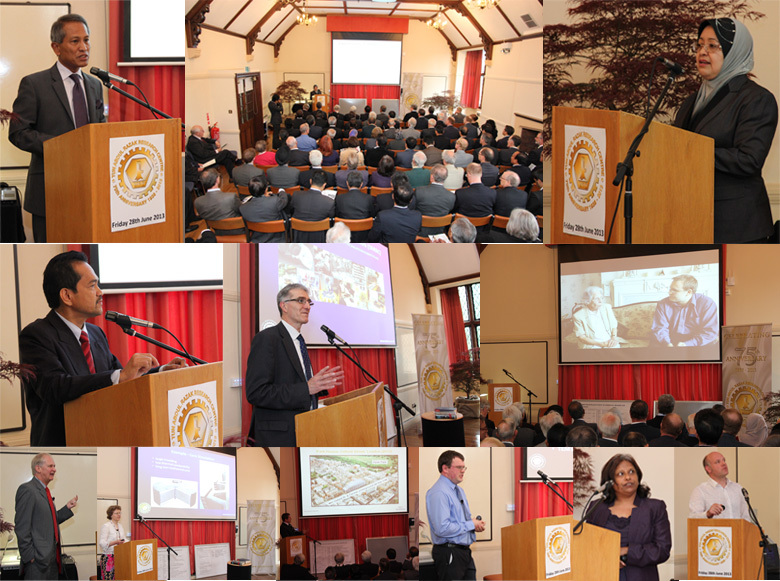 On Friday 28th June TARRC held a celebratory day of presentations, laboratory tours and lunch for staff and more than 100 visitors to end an historic week that began with the IRRDB international rubber conference in London. Visitors included former staff, many of TARRC’s business and research contacts and other representatives from the rubber industry and universities. His Excellency Dato’ Sri Zakaria Sulong, the High Commissioner for Malaysia, opened the proceedings in TARRC’s Jacobean conference room, followed by Datuk Salmiah Ahmad, Director General of the Malaysian Rubber Board. Dr Kamarudin Ab-Malek, TARRC’s CEO welcomed guests and said how proud he was that his tenure as CEO fell during this significant milestone in the Research Centre’s history and how pleased he is to be working with such a dedicated team of scientists, technologists and supporting staff. Dr Kam was first seconded to TARRC in the late 1970s and 80s to complete his studies in the UK. During that time the work pioneered by TARRC on the application of high damping laminated natural rubber bearings for vibration isolation, was coming to fruition. The Malaysian Rubber Board and IRRDB are continuing to advocate new applications of these bearings, most notably for the second Penang bridge in Malaysia. Presentations by TARRC’s current and previous Directors of Research, Dr Stuart Cook and Dr Andrew Tinker were also given and the highlight of the morning session was reminiscences of TARRC by several former members of staff, board members and industry contacts including Professor Alan Thomas, Sir Geoffrey Allen, Dr Cris Baker and Roger Williams. At the end of the morning session the announcement was made by the Editor, Dr Andrew Tinker, of the publication of TARRC’s new book to mark the 75th anniversary ‘Rubber Science and its Applications’. The book will be released in separate volumes in e-book format. This in the third in a series of books on rubber science and technology, published by the research centre to mark significant anniversaries. This e-book is expected to join the 25th and 50th anniversary books, edited by Bateman in 1966 and Roberts in 1987, in becoming a seminal text book for any polymer scientist. After a tree planting ceremony (native wild pear tree) held on the back lawn of the Brickendonbury estate, an excellent lunch was provided in the marquee. Short talks were presented in the afternoon highlighting TARRC’s current research activities. Topics covered included 'The application of Lateral Flow Technology in the detection of all allergens in latex' to 'Ekoprena® - Green Tyres on the Road' and 'Natural Rubber / Organoclay Nanocomposites' amongst others. Guests were then invited to visit the laboratories accompanied by TARRC staff who all proved to be very informative guides. Visitors were given short presentations at each area including biotechnology, microscopy, TARRC’s mill room, engineering and tyre technology. 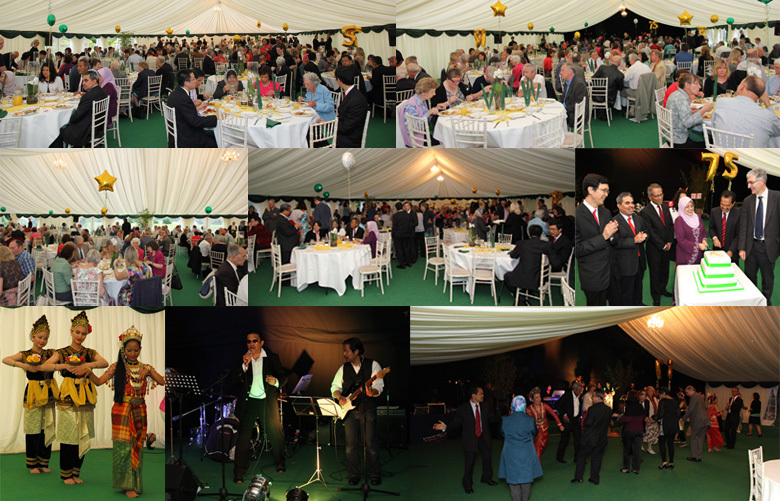 In the evening, well over 200 people who have current or past connections with TARRC celebrated the occasion with a dinner, accompanied by music and Malaysian dancing.